Dr. Bascom Ray Lakin was born January 5, 1901 in Fort Gay, West Virginia. He was one of the last of the old-time evangelists, that didn’t tell us what we wanted to hear, but told us what God wanted us to hear. He was known as a “country preacher”, but he preached at the huge Cadle Tabernacle, in Indianapolis, Indiana, that seated 10,000 and a choir loft with 1,400 seats. He received $7 a month in his first pastorate. His mother wanted a “preacher man” and she got one with the birth of Dr. Lakin. Someone asked him once why he was born in a house, instead of in a hospital and he replied “I wanted to be close to my mother”. This sermon is an excellent example of old-time preaching by Dr. Lakin. Dr. Lakin died on March 15, 1984 at the age of 82, and was buried on the grounds of Liberty University, in Lynchburg, Virginia and was so well-respected by Jerry Falwell, that the Religious Education building was named after Lakin. 45 of Dr. Lakin’s sermons can be listened to, or downloaded at this website. Dr. Lakin may have died 31 years ago, but audio and video recordings he made so many years ago make it possible, for us to listen to his preaching for years to come. the record and had to order a new copy. 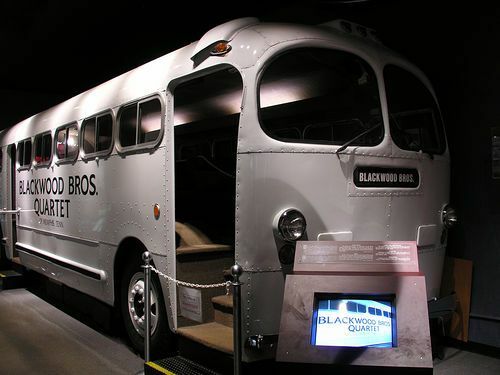 The Blackwood Brothers Quartet bus which can be found at the Southern Gospel Music Museum at Dollywood. 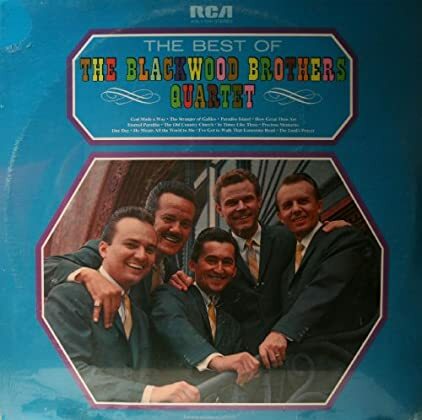 The original Blackwood Brothers quartet was formed 80 years ago in 1934. The group was founded in Choctaw County, Mississippi and some of the descendants of that group are stil singing, under the Blackwood Brothers Quartet name in 2014. Roy Blackwood, James Blackwood, Doyle Blackwood and R.W. Blackwood was the original configuration for the Blackwood Brothers in 1934. Tragedy struck the Blackwood Brothers Quartet, when two of its members R.W. Blackwood and Bill Lyles were killed, in a plane crash on June 30, 1954. Cecil Blackwood would later replace R.W. Blackwood and J.D. Sumner replaced Bill Lyles as bass after the plane crash. The Blackwood Brothers were the first southern gospel group, to customize a bus for traveling to concerts. They also founded the National Quartet Convention which started in 1957 and is still active 57 years later and is held every September. I was fortunate to see James Blackwood sing with the Blackwood Brothers many times over the years, when they performed in concerts in the Central Louisiana area. He was an excellent spokesman for the group, during their concerts and was one of my favorite Blackwood Brothers singers. J.D. Sumner is credited by the Guinness Book of World Records, as singing the lowest note ever sung. I remember in one Bill Gaither video, that he was singing a song, when the organist started to play faster, than Sumner wanted him to. The look he gave the organist was priceless. It may or may not have been a prank on Sumner, but if it was a prank it was not well received. Two of my favorite Blackwood Brothers Quartet songs featuring Sumner were I’ve Got To Walk Than Lonesome Road and There’s A Light. J.D. Sumner on stage with Elvis Presley in 1976, which was a year before Elvis died. J.D. Sumner and the Stamps Quartet often toured with Elvis Presley. Still not sure if southern gospel was represented well during this time, since they were singing so much secular music during these years. J.D. Sumner gave credit to Elvis for helping him stop being an alcoholic. Shame J.D. couldn’t return the favor and convince Elvis to stop using drugs. Instead J.D. was more of an enabler and more or less discounted reports, that Elvis was a user, when he debunked those reports at the funeral for Elvis. That was before the extent of drug usage was known by the general public, but Sumner with his close proximity to Elvis probably knew exactly what Elvis was doing with drugs. The golden era of the Blackwood Brothers Quartet are long gone, but their music will live on for years to come. I have a collection of their music from the early days till later years on cassette. It is great to hear the gospel style singing and piano playing, that most of us grew up with in the 50’s and 60’s. James and J.D. and most of the Blackwood Brothers Quartet singers of the past are gone, but they will never be forgotten. 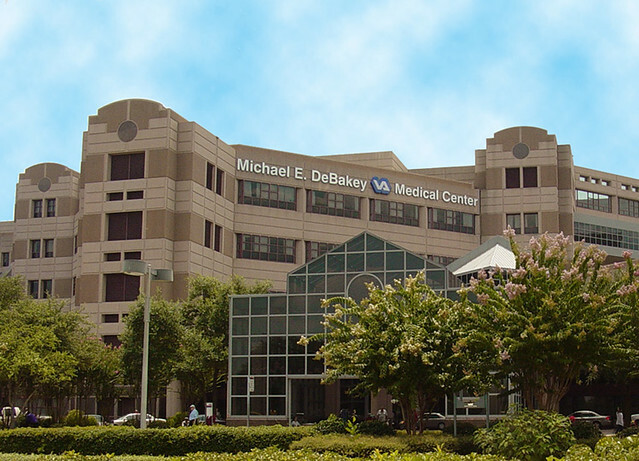 This time last year I was in the Michael E. DeBakey VA Medical Center in Houston, Texas. First, let me go back in time to some of the events that may have led to me having duodenal cancer. May of 2012 was a traumatic time for us, after being evicted from our house in Sulphur, Louisiana. We then moved to DeRidder, Louisiana on July 20 and it took almost two weeks to move our belongings to a trailer. I think the eviction and move took a toll on me emotionally and physically. I truly feel that financial stress played a part, in me acquiring cancer last summer. I began to lose an alarming number of pounds in July and would have lost 45 pounds by the time I entered the VA Hospital in Houston in October. I vomited 17 times in a two-day period, which contained blood. I went to the VA Hospital in Pineville, Louisiana and they thought at first that I had acid reflux, peptic ulcers, duodenal ulcers and H pylori. I was sent home with various prescriptions that didn’t control the vomiting. Finally on September 28 of 2012 I was admitted into the VA Hospital in Pineville and the next day September 29 they transported me via ambulance to the VA Hospital in Houston. One of the first things they did in Houston was insert a tube down my throat and connected it to a container that received the contents of my stomach continuously to prevent any more vomiting. The inserting of the tube was one of the most stressful medical procedures done, while in the hospital and very uncomfortable having a tube, but it did prevent any further vomiting. It took almost two weeks before the oncologist determined that I had duodenal cancer, after unsuccessful CT scan which was too cloudy because of a recent CT scan at the Pineville VA Hospital. Then the doctors tried an endoscopy, which didn’t work, since it the instrument wasn’t long enough to reach the blockage, which they were trying to biopsy. The oncologist still could not get a biopsy, so they tried another endoscopy that reached the blockage and then prescribed a Petscan to get a better look at the blockage. After these two procedures they determined that I did have duodenal cancer, a cancer that is in beginning section of small intestines. It is also referred to as adenocarcinoma. The Petscan was a unique experience. For 45 minutes they started and stopped the scan. I had the sensation of being on a train. The only thing missing was that no conductor was saying “All aboard”. My birthday was on October 14, which was two days before the surgery. My wife Rhonda had made a Happy Birthday poster for the door of my room and my daughter, her husband and two grandchildren were there to celebrate. My two sons, who had already arrived a few days earlier were also there, along with my ex-wife who came with my daughter. I still have the poster that Rhonda made in our bedroom and it has a lot of sentimental value. Rhonda had to sleep in a chair the first few days, that I was in the hospital. She found out later there was a place called Fisher House on the grounds, so she could have a place to eat and sleep during the night. One of my brothers also made two or three visits to the hospital, while I was there and his ex-wife and my niece also made visits to see me. I will never forget the day of the surgery, which was Tuesday, October 16, 2012. I was rolled into a hall where patients were lined up for surgery. I recall the nurses were asking about a patient who didn’t show up for surgery, because he tired of waiting for the surgery and had left the hospital. Once I entered the surgery room the anesthesiologist began sticking with me with needles which were very painful and I was surprised how many times I was stuck and awake to feel the pain. I could hear the surgery room nurses make clanging sounds similar to the sounds of pots and pans being put on tables. The next thing I knew it was 11 hours later and my surgery which was supposed to have taken 5 or 6 hours had lasted 11 hours, because I had been nicked in the liver and it caused massive bleeding, which required four units of blood to replace the lost blood. The surgeon told Rhonda that they were close to losing me, so I am very fortunate to even be writing about the surgery. I remember being in a very strange room, after the surgery which I assume was the ICU. It seemed like it was very dark in the room and I almost felt like they had sent me to a secluded cabin to recover from the surgery. I still can’t remember much about this phase in my recovery. One of the results from the surgery was the finding that I had Stage III duodenal cancer. Duodenal cancer is extremely rare and only accounts for 1 percent of gastrointestinal cancers. At some point before or after the surgery I had a picc line inserted in my arm, so the nurses wouldn’t have to give me so many injections. However, I still had blood work done every morning at about 5AM. I had insulin shots in my stomach at least once a day, even though I was and am not now diabetic. One thing I remember is watching the 2012 World Series between the Detroit Tigers and the San Francisco Giants. I tried to watch all of the games, but would sometimes fall asleep during the games. About a week after the surgery I was finally allowed to eat real food, for the first time since arriving at the hospital three weeks earlier. However, my appetite was not that great and would only eat part of the food most of the time. It was great to have the tube removed from my throat, even though it was uncomfortable feeling for it to come out. Needless to say I talked differently while having the tube in my throat, so was happy to talk normally again. It was Halloween night (October 31) when I was finally released from the hospital. The day started off well as I started being readied for release, but I waited a very long time for the Picc line to be removed. The technician came in the room and had me in more of upside down and sideways position, so that he could remove the Picc line. My high number on the blood pressure reading was 181, when I was finally released late that night. Blood pressure was a serious problem in the hospital, since it spiked to about 220 at one point, so I was given blood pressure medication and wore a blood pressure patch to bring it down. Immediately after being released I stayed with Rhonda at the Fisher House that night, to prevent traveling immediately after being released. We made the 160 mile trip back to DeRidder the next day and began the long road to recovery. I was feeling a little better each day and felt much better, when we made a visit to the VA Hospital in Houston in November, to see the oncologist for a checkup. He told us that duodenal cancer has a history of returning, which sort of caught me by surprise. We drove home on Thanksgiving morning and we were slowed by a massive traffic jam before we arrived at my daughter’s home in Groves, Texas. When we arrived there they told us, that many cars had hit each other in the fog on Interstate 10, so we were fortunate to miss the accident, but were detoured so we never saw the scene of the accident. I started 91 days of chemotherapy after returning home at the VA Hospital in Pineville. There is no chemotherapy for duodenal cancer, because it is so rare, so was treated as if I had colon cancer. When I told the doctor I read that there was only a 30 percent chance of surviving duodenal cancer he told me not to worry, since my life expectancy was only 76 since I was a male. I relaxed after that figuring what is two years less or more, since I will be 69 this week. The chemotherapy had many bad side effects, with sensitive to cold, jaw pain when chewing foods, unsteady on my feet and the oncologist in Pineville switched me to another form of chemotherapy. It wasn’t much better as it caused another set of problems, so my chemotherapy was stopped 91 days into the 5 month treatments. The oncologist told me my quality of life was being affected too adversely by the chemotherapy. I was relieved to not have to make the weekly trips to Pineville for the chemotherapy treatments and I started feeling better after the treatments stopped with the side effects no longer a problem. We went to see the oncologist/surgeon at Houston VA Hospital last May. The first day there we underwent another CT scan and did bloodwork. Then the next day we talked to the surgeon and he said everything looked good on the scan and it was clear. However, he said he was concerned that when he lifted the cancerous blockage off the liver, that some cancer may have seeped into the liver and may sprout up at a later date. Our next CT scan is scheduled on December 11. Hopefully, the scan will be clear and if not will know it is God’s will being done, so not overly worried about the results. I want to thank all the doctors and nurses at VA Hospital in Pineville and Houston for their excellent care. I want to thank all the family members and friends who visited me at the hospital in Houston and those who stayed with me in the hospital, after Rhonda began staying at the Fisher House. I would like to also thank those who called my room during my stay in Houston. Those phone calls meant more to me, than you will ever know. In addition I would like to think those who sent gift cards or checks, to help pay for Rhonda’s food and expenses, plus help pay our bills, while staying in Houston. Plus I would like to thank those who contributed to the cancer fund my son started, in conjunction with his bicycle tour starting this week in Kansas City, Missouri. My goal is to keep a positive attitude regardless of what the results of the scan show, in December and to continue to sing and praise the Lord. The Speer Family was one of the earlier southern gospel family groups who traveled from city to city in the 1940’s. Some historians say southern gospel music was founded in the 1870’s but 1910 is when the first southern gospel quartet was formed. However, the first southern gospel song The Old Time Religion was published in 1873. Charles Davis Tillman is credited with bringing the song to white southerners, when he heard African-Americans sing it in a tent meeting in South Carolina. The song is still being sung 140 years later in churches and in gospel singing concerts. The song was used in the movie Sergeant York in 1941. Life’s Railway to Heaven is another song brought to southern gospel fans by Tillman. The Carter Family, Chuck Wagon Gang and Oak Ridge Boys were just some of the groups and soloists who sang the song. Poor Wayfaring Stranger was even older than the other songs mentioned, since it was found in a 1858 songbook. It has been sung by Tennessee Ernie Ford, Dusty Springfield, Johnny Cash and the Mormon Tabernacle Choir, not to mention too many other groups and soloists to mention. Singing schools such as the Stamps-Baxter School of Music taught quartet singers to sing their part properly and how to blend in with a group, when the whole quartet sang at once. Southern gospel music could be heard at singing conventions, which featured more difficult songs like I’m Winging My Way Back Home and Heavenly Parade. I can personally vouch for how difficult I’m Winging My Way Back Home can be to sing, since I have tried to sing it in choirs and have not had much success. When done right though it is true southern gospel music at its best. The Cathedral quartet first became known as part of the Rex Humbard ministry. The Blackwood Brothers Quartet was formed in 1934 and still is singing today 79 years later. Tragedy struck the quartet in 1954 when a plane crash killed baritone R.W. Blackwood and bass singer Bill Lyles. Cecil Blackwood replaced his older brother R.W. as baritone and J.D. Sumner replaced Lyles as the bass singer. This was my favorite Blackwood Brothers Quartet record album. Played it so much that wore out the grooves in the record and had to order a new copy of the album. My favorite songs on the album were when J.D. Sumner and Jim “Big Chief” Wetherington of the Statesmen had a singing contest singing I’ve Got To Walk That Lonesome Road at a concert, trying to see who could hit the lowest note and I think it is safe to say that J.D. won. Old Country Church was another favorite on the album, especially when the tenor hit the chorus on the last verse. I have seen the Blackwood Brothers sing in the Alexandria, Louisiana area a few times, but never saw them with J.D. Sumner singing bass, since Ken Turner was singing the bass part. James Blackwood singing lead made up for that though, with his great delivery of the songs we grew up with. My mother lived in the Hiawatha, Kansas area in the 1970’s and was able to see the Blackwood Brothers sing there many times. J.D. left and joined the Stamps Quartet, which toured with Elvis Presley throughout the United States. I saw them sing backup for Elvis in 1977, shortly before Elvis died, in a concert in March of 1977 and when Elvis wasn’t feeling well he had one of the quartet singers sing a song, while he sat down and gathered enough strength to continue the concert. All night sings were a big part of southern gospel music in the earlier years when throngs of southern gospel fans would spend a good part of the night listening to southern gospel music. Have never seen the Statesmen in person, but have seen them numerous times on the Gospel Singing Jubilee and Gospel Caravan shows shown on television on Sunday mornings. Watching southern gospel music before church was a routine at our house. I can remember when a local southern gospel radio station in Pineville, Louisiana held a concert every year in the Rapides Parish Coliseum, in Alexandria, Louisiana. I heard that a heckler one time was giving Howard Goodman of the Happy Goodman Family a rough time, but if I remember right Howard got the best of it. The original Dove Brothers Quartet pictured left to right: John Rulapaugh tenor, McCray Dove lead, Burman Porter bass, Richard Simmons pianist and Eric Dove baritone. My favorite gospel quartet is the Dove Brothers Quartet which was founded in 1998. We traveled 200 miles to see them in Texarkana, Texas and will never forget them singing When I Move To Hallelujah Square and the classic Get Away Jordan which had been recorded many years earlier by the Statesman Quartet. I was able to talk to all the members of their quartet at their product table and would travel many times to see them in Arkansas, Louisiana and Texas and they finally appeared in my hometown of Pineville, Louisiana. Only McCray Dove, Eric Dove and Burman Porter are singing in the current configuration of the group. The following video is of the Dove Brothers Quartet singing Get Away Jordan, at the National Quartet Convention in 1999 at Louisville, Kentucky. We need more singing like this today. Southern gospel music has in recent years seen more soloists and duets and trios, but for me what draws me to southern gospel music are the traditional quartets. Mark Lanier is a southern gospel soloist who used to sing with the Bibletones, Perfect Heart and Poet Voices. He lives in Ball, Louisiana and travels mostly throughout the south singing at churches. His son played baseball with my grandson in Tioga, Louisiana, so have been able to talk with him often and he sang at our church in Knoxville, Tennessee in 2010. Most southern gospel fans like to hear the tenor or bass being featured on songs. I like the traditional southern gospel songs like He Touched Me, Mansion on the Hilltop, I Never Shall Forget That Day, The Old Country Church, Without Him, Farther Along, The King is Coming, The Lighthouse and O What a Savior. Bill Gaither has done a lot to make southern gospel music more popular, since he brought the well-known names of the past back to the forefront, through his homecoming videos. We have at least 10 of his videos and enjoy watching the greats of the past singing on stage in unison. 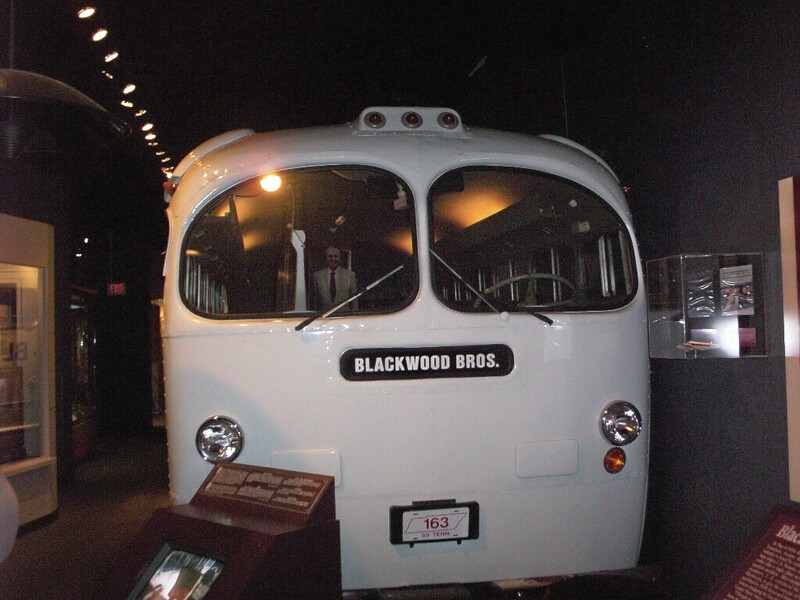 The Blackwood Brothers Quartet bus which can be seen at the Southern Gospel Music Hall of Fame on the grounds of Dollywood in Pigeon Forge, Tennessee. 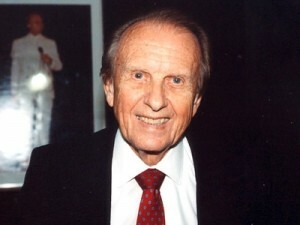 Thomas Dorsey, who wrote Take My Hand Precious Lord and Peace in the Valley. He died in 1993. Tim Riley, who is owner of and bass singer for Gold City Quartet. “Little” Roy Lewis and Polly Lewis of the Lewis Family. It is sad that southern gospel groups don’t travel as far south as Louisiana, as they used to but the big busses of these days owned by the groups make it cost prohibitive, because of the higher gasoline prices. We may not hear southern gospel music as much as we once did, but we are glad to be members of Calvary Baptist Church in Merryville, Louisiana, which sometimes even sings from a southern gospel music hymnbook and southern gospel music is often sung for special music. The Gaither Vocal Band as they appeared on stage in Beaumont, Texas on July 26. The group from left to right is David Phelps, Michael English, Wes Hampton, Mark Lowry and Bill Gaither. I have been to a lot of southern gospel concerts, over the years but had never seen a Bill Gaither concert till last night at Ford Park in Beaumont, Texas. My wife Rhonda and me thoroughly enjoyed the show. The show featured the Gaither Vocal Band, with the Nelons, Martins, Gene McDonald and Angela Primm appearing before the Gaither Vocal Band took the stage. Gene McDonald the former bass singer for the Florida Boys sang a solo, which is unusual for a bass singer, but he pulled it off, with no problem at all. Michael English, Bill Gaither, Mark Lowry, David Phelps and Wes Hampton who comprise the Gaither Vocal Band. The Nelons, Martins, Angela Primm and Gene McDonald finished their acts and then the stage went dark and the Gaither Vocal Band started singing their first song. It was exciting when the stage lights were turned back on and there was the Gaither Vocal Band bigger than life. Mark Lowry the comedian-baritone of the group carried the show in my estimation, with his humor and him singing his hit song Mary Did You Know. Lowry said that was his only hit, so he was going to sing it. Lowry was the consummate comedian, with his exchanges with Bill Gaither one of the highlights of the concert. Gaither hosted the concert and did an excellent job of introducing the singers, while also singing bass for the Gaither Vocal Band. The 77-year-old Gaither didn’t show his age as he didn’t seem to tire, as the concert which lasted close to three hours went on. They did sing a lot of songs, that I hadn’t heard of, so assume it was new material. But that didn’t matter, since whatever song they were singing at the time didn’t matter, because of their delivery of the songs. Kevin Williams the guitarist transformed into a pitchman shortly before the intermission, as he showed the various products for sale at the product table, by all the performers on the show. He held up one product and said it was the Beaumont special and Bill Gaither interjected, that it will be the Tulsa, Oklahoma special tomorrow night. A highlight of the show was when the audience sang along on a song that was sung by a lady, who was not introduced. The song was I Stand Amazed In The Presence and it was a touching moment to hear the huge audience join in singing the song. Some highlights of previous homecoming shows were shown on the two screens. The audience applauded when the late Vestal Goodman was showing singing from a past homecoming concert. David Phelps was featured on He is Alive and when he hit those high notes, with his tenor voice it had a huge impact on the audience. He stood out among all the singers, but they all sang well, when they were being featured. Then the whole group sang the chorus as it reached an even higher crescendo, as they finished the song. It was a great night for southern gospel fans, but also a good night for those who like contemporary music. The first configuration of the Gaither Vocal Band when it was formed in 1981, with Steve Green, Gary McSpadden, Lee Young and Bill Gaither. There have been a total of 16 configurations in the 32 years of the Gaither Vocal Band. Three of the four current members of the group, excluding Bill Gaither have left the group for solo careers, but have all returned and the current configuration started in 2009. Michael English – Was a member of the group from 1985-1994 and returned in 2009, for a total of 15 years with the group. Mark Lowry – First joined the group in 1988 and remained with the group through 2001, then returned in 2009 for a total of 19 years with the Gaither Vocal Band. Wes Hampton – Joined the group in 2005 and has been with the group for nine consecutive years. David Phelps – First stint with the Gaither Vocal Band was from 1997-2005 and rejoined the group in 2009, for a total of 14 years with the group. All four singers are powerhouse vocalists on their own, but magic happens when they combine their voices, as they had letter-perfect harmony last night. It was a long show, but still wish it had been longer, because this was a night to remember. 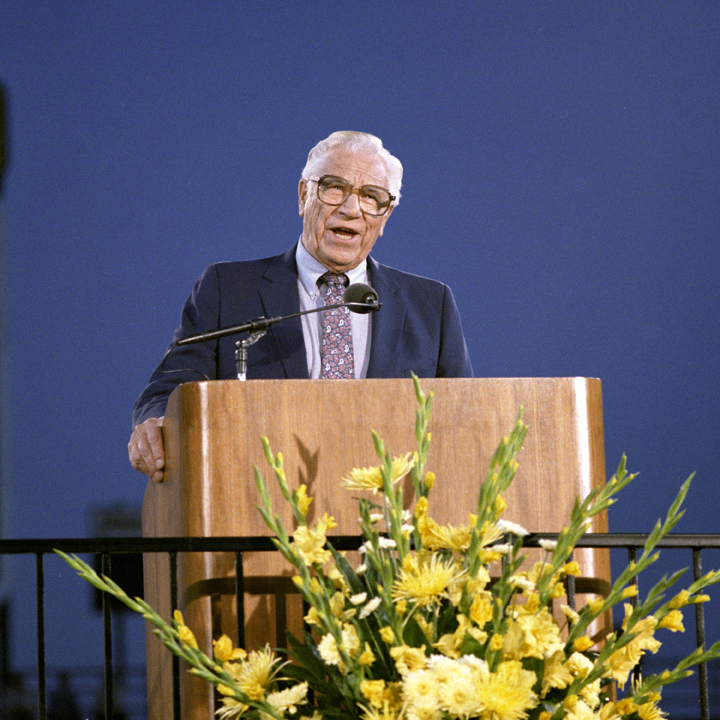 George Beverly Shea has died in Montreat, North Carolina after a brief illness at the age of 104. He was born on February 1, 1909 in Winchester, Ontario, Canada. 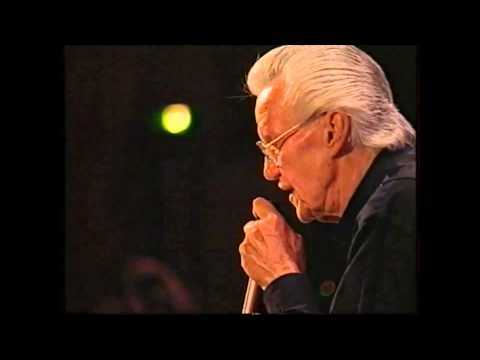 Shea is best known for being a soloist with the Billy Graham crusade from 1947 till almost 60 years later when Graham was no longer physically able to stand and preach. George Beverly Shea shown with Billy Graham at a crusade. His recording career lasted from 1951 till his death and he recorded 70 albums during his recording career. I can still remember hearing him sing How Great Thou Art and It Took A Miracle and many other songs during the televised crusades. He was an accomplished musician playing the violin, piano and organ. Shea was married a combined 70 years to his first wife Erma Scharfe who died in 1976 and his second wife whom he married in 1985 and survived him upon his death. George Beverly Shea may be gone, but he will never be forgotten by the many of us who saw him sing so many times over the years, with the Billy Graham crusade. His music will live on for years to come. 19 Kids and Counting plus two parents and a grandmother plus wife of Josh and two babies. 19 Kids and Counting returned last night on TLC as the family traveled to Asia in the first of three episodes of specials featuring their trip. The regular episodes of the show will return on April 2. Jim Bob and Michelle, the parents of the 19 children were married on July 21, 1984 and took birth control the first four years of their marriage, then went off the pill and Michelle miscarried. They then they let God decide how many children they would have. Jim Bob only had a sister while growing up, while Michelle had five sisters and a brother. Their first child Josh was born on March 3, 1988 and their last child Josie was born on December 10, 2009. Michelle lost the next baby, when its heart stopped beating during the pregnancy. Michelle and her family appeared on the Today show on November 8, 2011 and a month exactly later the family announced the baby had died. This episode was one of the most dramatic shows in the series, as the series showed Jim Bob and Michelle being told the baby had no heartbeat. It was particularly emotional, when the children were told that the baby had died. Then the funeral was extremely emotional seeing such a small casket for the baby. The Duggar family lives in Tontitown, Arkansas a city of only 2,460 people but has grown 161 percent since 2000, when the population was only 942 people. The cost and logistics of raising 19 kids has to be very expensive and they have to be very organized to make sure all the kids follow a routine, to make sure everything that needs to be done is accomplished. Jim Bob is a real estate agent and investor, so he must be doing very well to provide for such a large family. TLC is also probably paying the family something for them being on the show. Their 25-year-old son Josh and his wife presently have two children of their own named a girl Mackynzie and a son Michael. The couple is expecting their third child in June.